I just came back from visiting my sister in Seattle for a week. 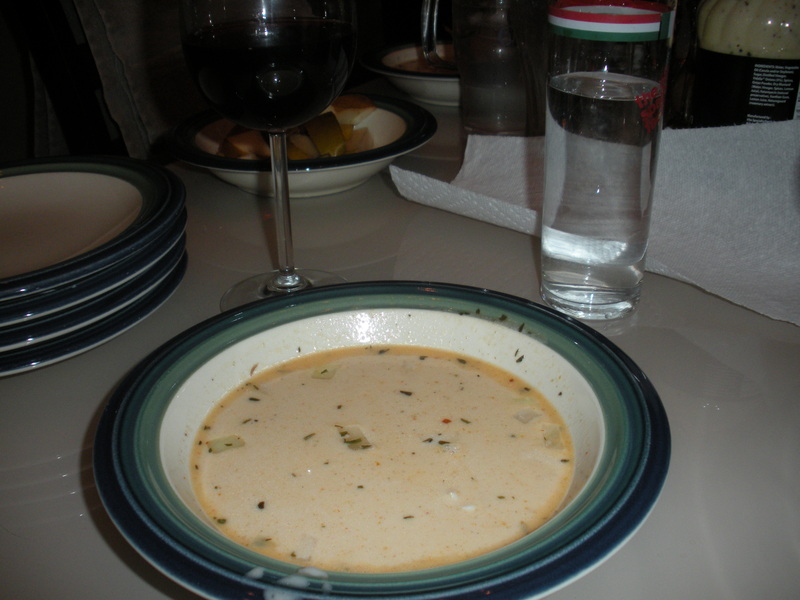 A post with highlights from our trip is yet to come, but first I had to share this culinary adventure from our trip: Lobster Bisque from Scratch. Alas, I cannot take complete credit for this achievement. My sister actually did most of the work, and I mostly took pictures to post on this blog. 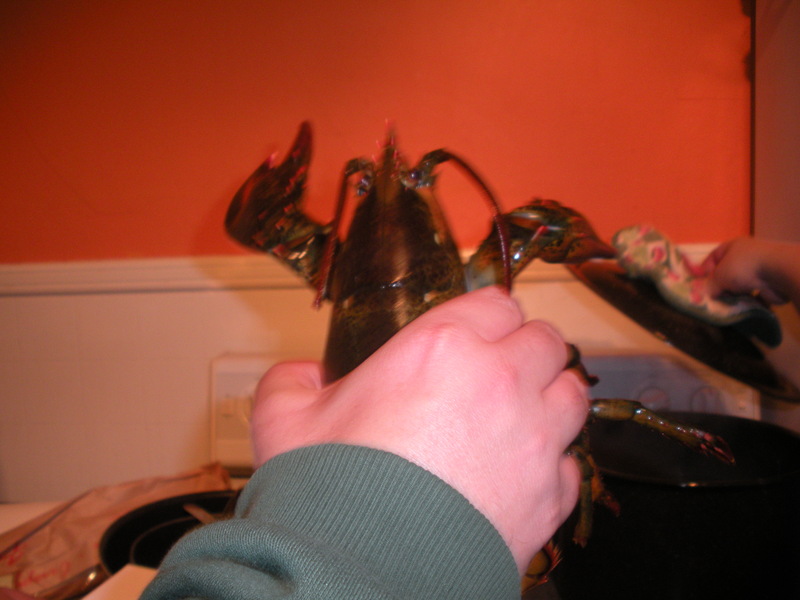 Also, I must warn you that some of the following pictures involve cruelty to lobsters. This warning is coming to you from a former PETA member and someone who is still (mostly) vegetarian. 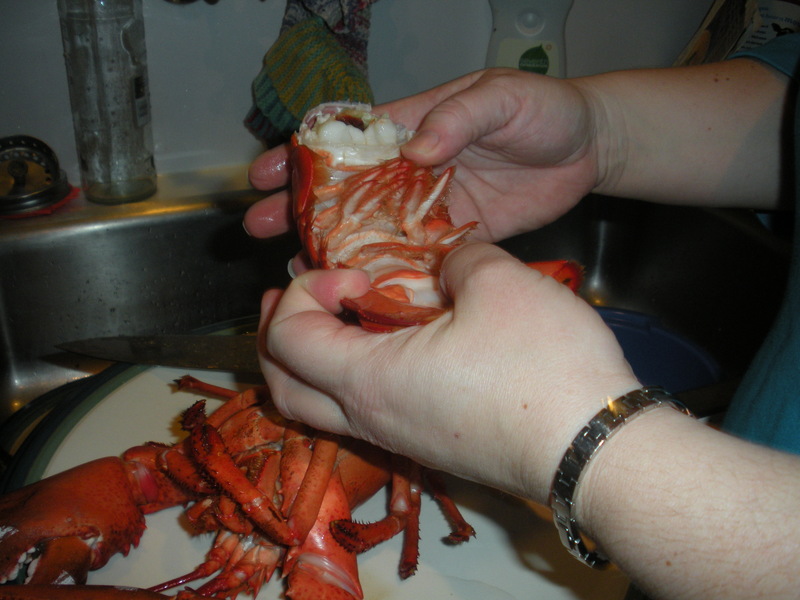 My sister’s recipe for lobster bisque called for two live one-pound lobsters. 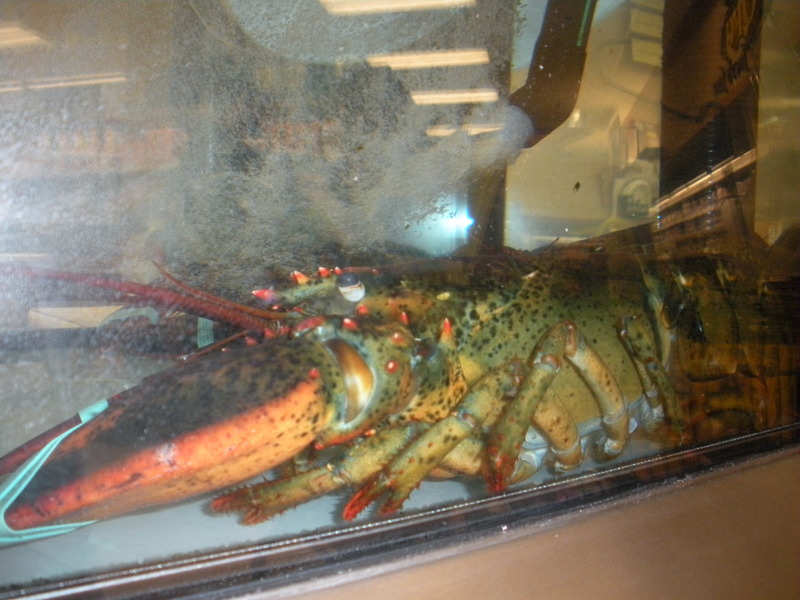 We trekked to her local grocery store in Seattle, only to learn that they only carried large 2-pound lobsters from Maine. So we chose the one the seafood counter guy dubbed “Ralph” and headed home with him. Cooking lobster bisque from scratch takes over an hour. 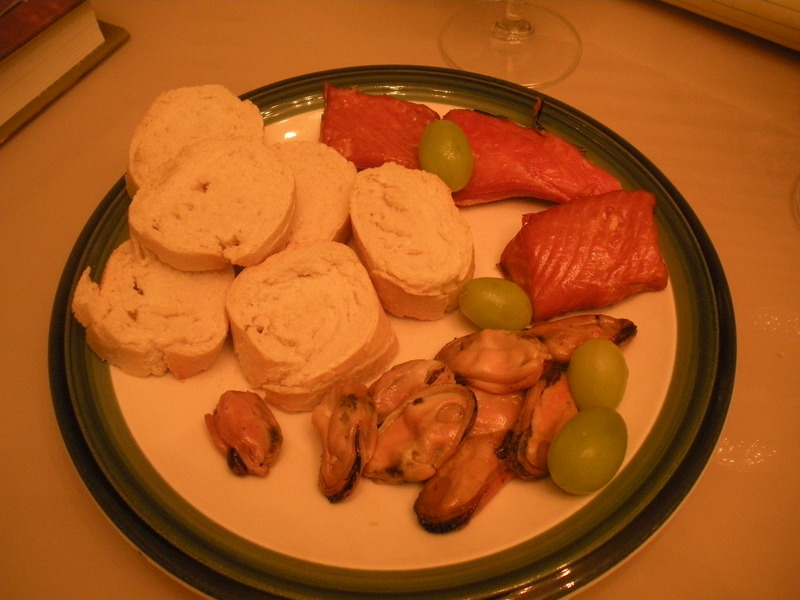 While prepping the meal, we snacked on smoked mussels, smoked salmon, sliced baguette and grapes from said grocery store. Super delicious. 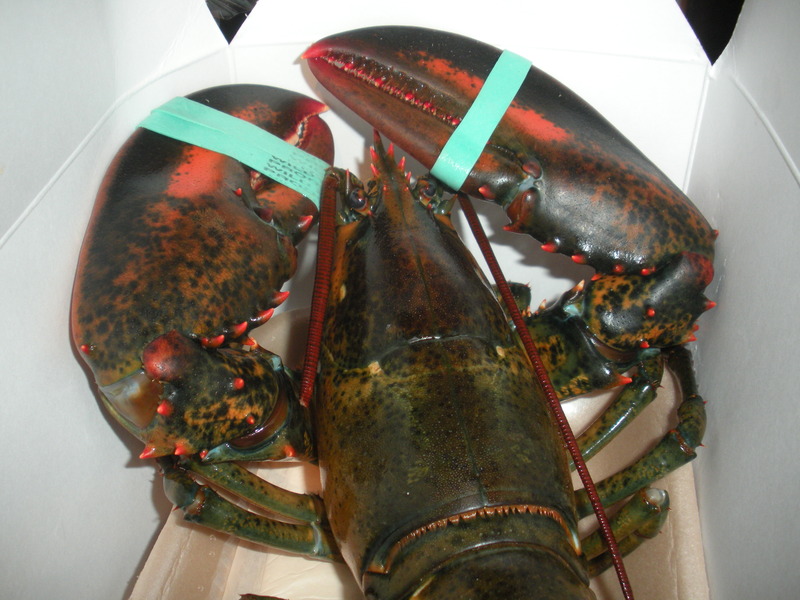 According to my sister, one should refrigerate the lobster for a while prior to cooking. 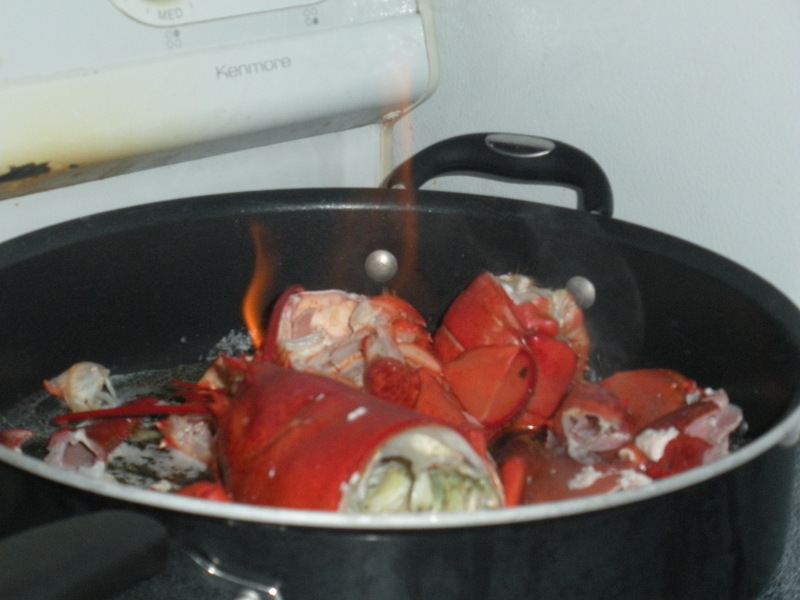 This numbs the lobster, so it won’t be such a shock to his system when you put him in a boiling pot. My husband had the duty of removing the rubber bands prior to cooking. “Ralph” didn’t bite back. Nor did he try to escape a covered pot of boiling water like in Julie and Julia. After cooking for 30 minutes, my sister cut up the carcass and removed the meat. Poor “Ralph”. We put the carcass in a large skillet with some butter, shallots and cognac. Next came the most exciting part: flambé-ing the carcass. My pyromaniac husband was given the honor. Unfortunately my camera was too slow to capture the exact moment the lighted match set the carcass aflame. Fire doesn’t capture too well on film. 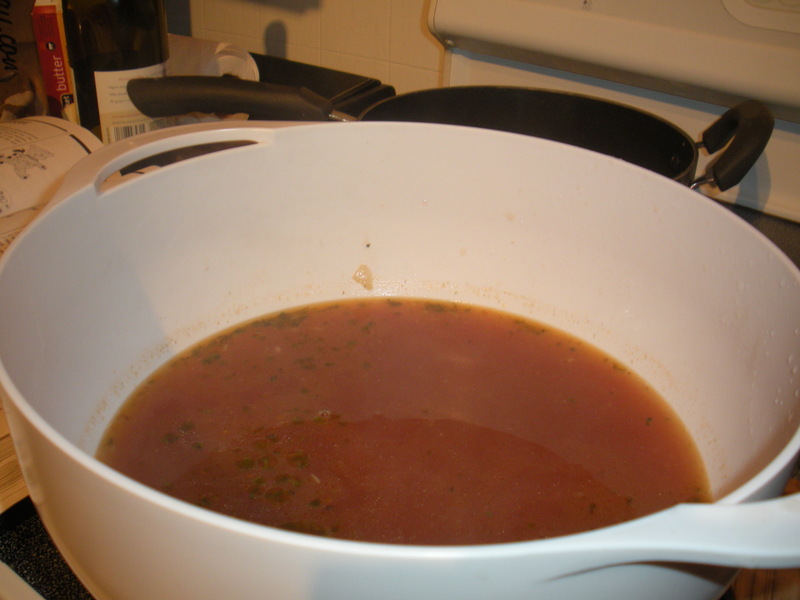 We simmered this mixture for about 20 minutes to create a nice stock. 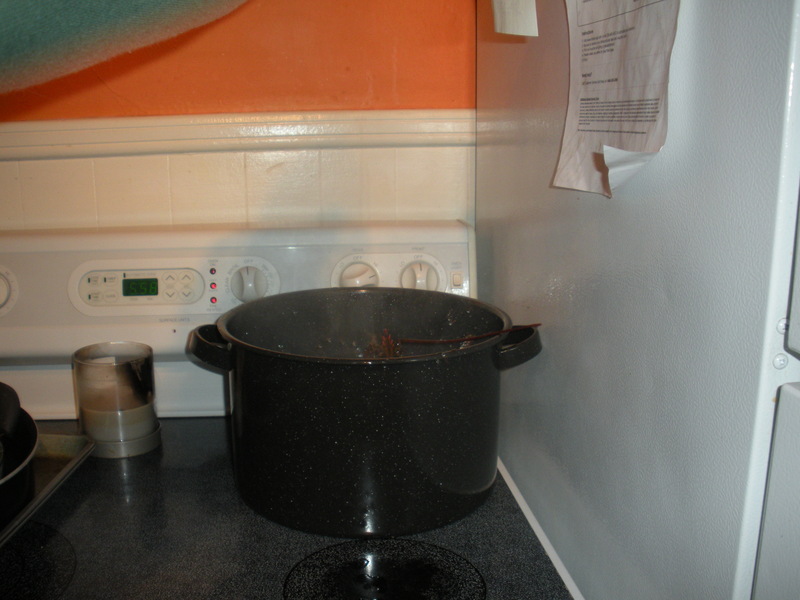 The carcass was discarded and the broth was added to a large pot with milk, heavy whipping cream and white wine. 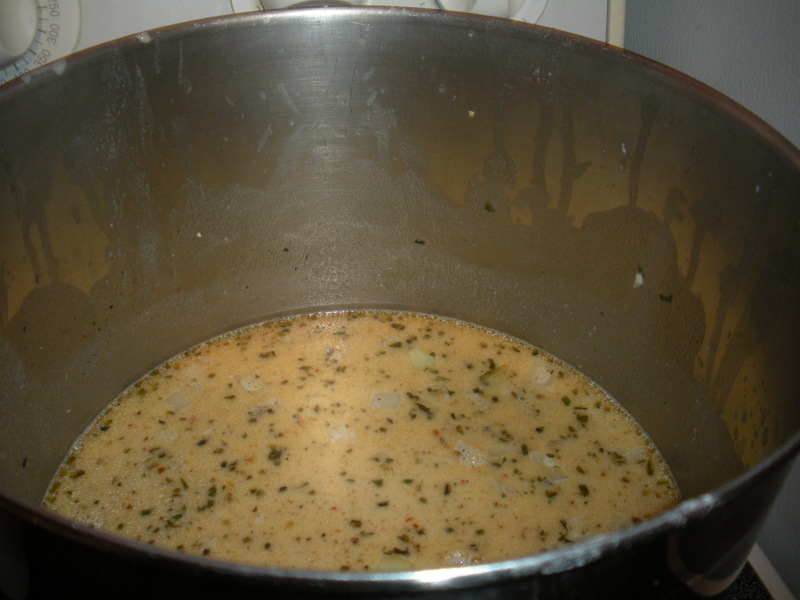 The soup was simmered for another 30 minutes until…voilá…homemade lobster bisque from scratch. In the end, our version was a bit too watery, probably due to using 1% milk instead of whole milk and not enough heavy whipping cream. But it tasted good nonetheless and was a fun experiment. 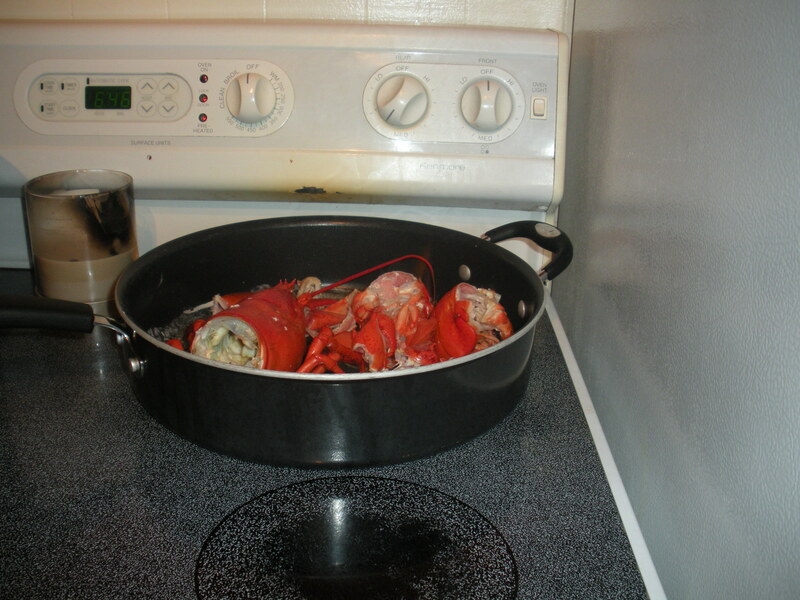 This entry was posted in DIY, Recipes and tagged cooking with alcohol, flambe, lobster, lobster bisque, recipes, soup recipes. Bookmark the permalink.